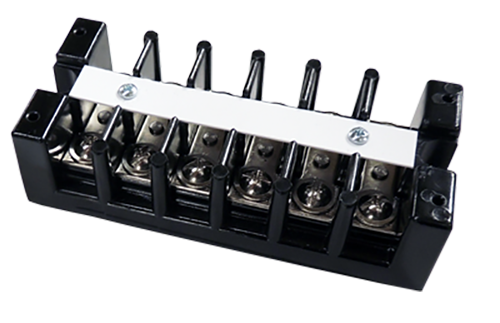 Double Row Terminal Blocks are available in many line-to-line spacings. Open and closed back designs are available as shown in the table below. Insulator bases are available in both phenolic and thermoplastic material. Each series has many hardware and marking options available. 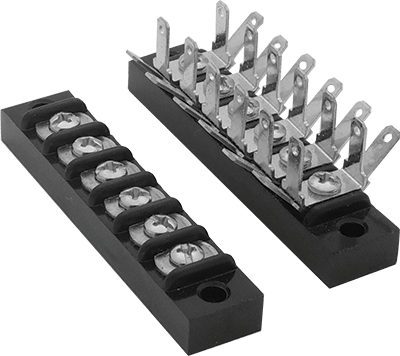 "Open back terminal blocks require an insulator strip to achieve voltage rating." LEGACY PARTS NOT SHOWN IN THE TABLE ABOVE CAN STILL BE FOUND USING "SEARCH BY CATALOG #" FEATURE IN HEADER (EXAMPLE: 670A GP(100 SERIES), 671 GP (200 SERIES), 672 GP (300 SERIES), 600 GP, 1600 SERIES AND 1700 SERIES. 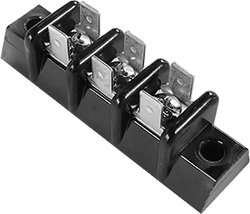 *Open back terminal blocks require an insulator strip to achieve voltage rating. **Wire Range for Bare (unprepared) only. Prepared wire range (used with crimp type ring, fork or spade terminals) is dependent on the size of the crimp terminal applied and must not exceed the Amp rating specified. 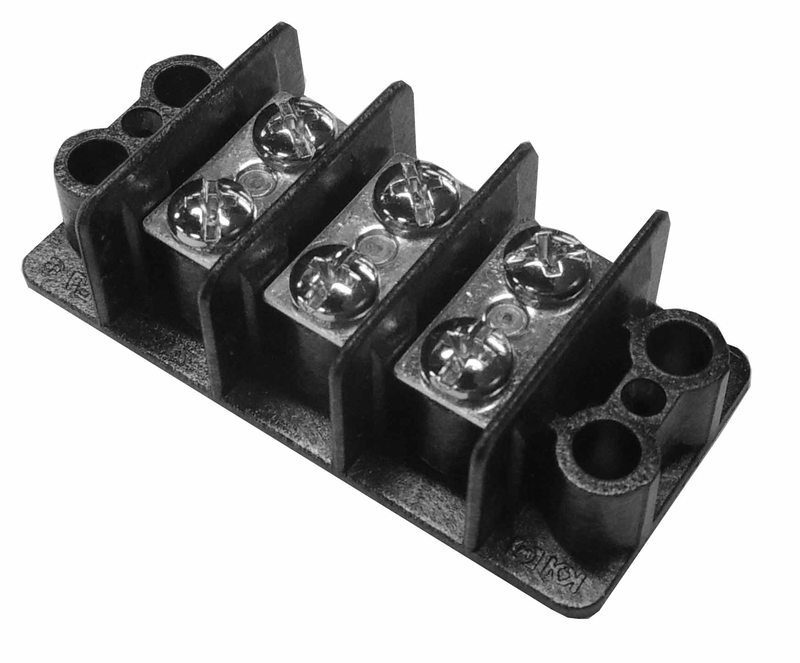 Single Row Terminal Blocks are available in four basic line to line molding sizes. Some are available in either open or feed thru/printed circuit designs. The basic material is phenolic. Modifications are also available on most terminal blocks, including marking strips.